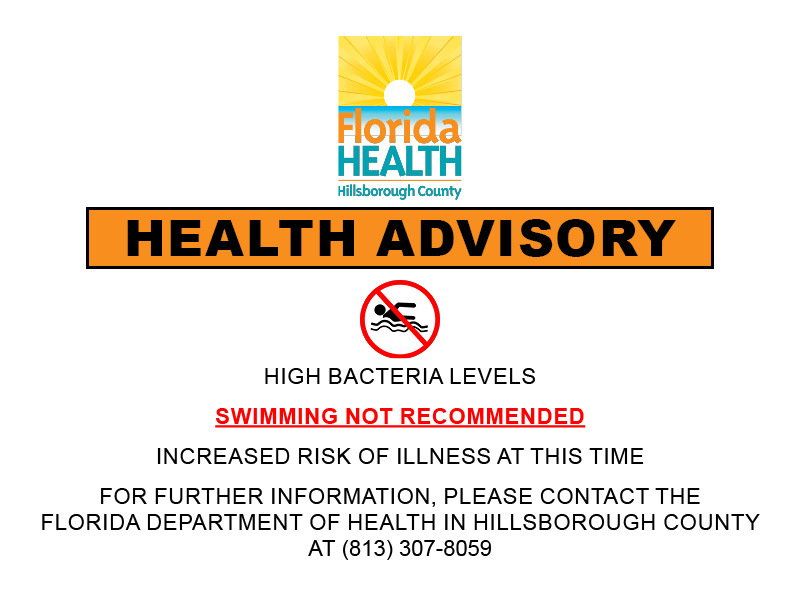 Tampa, Fla. – A Health Advisory has been issued for Bahia beach based on the criteria for enterococci bacteria recommended by the Environmental Protection Agency (EPA). This should be considered a potential risk to the bathing public. Samples taken Wednesday were above threshold for enterococci bacteria. The beach will be re-sampled, Wednesday, February 6, 2019. Last week’s advisory for Cypress Point Beach has been rescinded. Follow us on Twitter at @DOHHillsborough and on Facebook. For more information about the Florida Department of Health please visit www.FloridaHealth.gov.